"So after 2 failed attempts it finally worked. 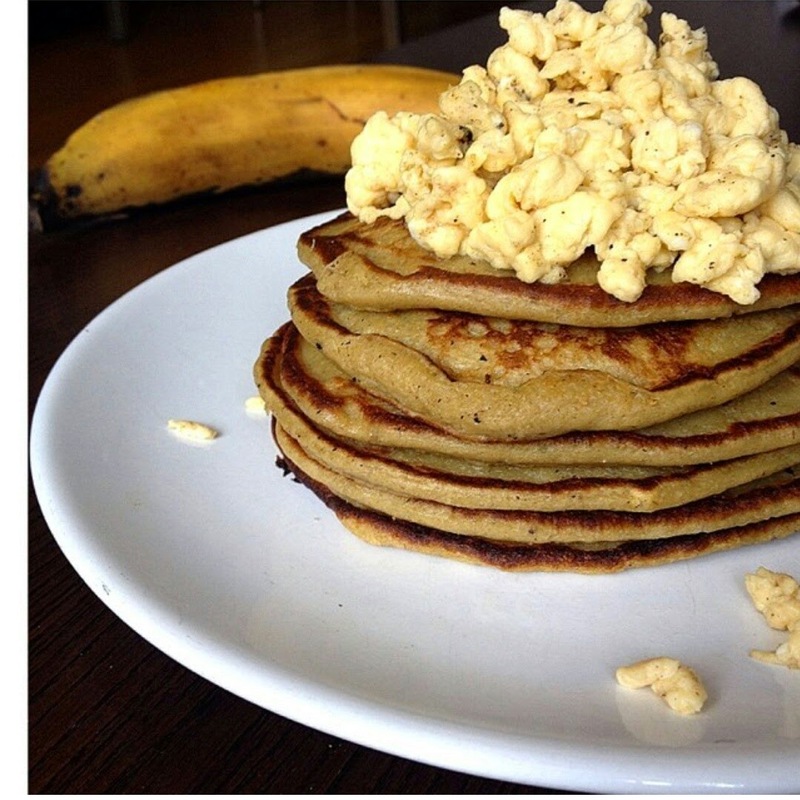 Plantain pancakes topped with fried egg whites. Peel the plantain, chop to cubes, put all the above ingredients into a blender. If it's too thick add some water. Cook in drops of oil of your choice. Garnish and enjoy✌️✌️.